From an Italian firm of publishers. On 22 November 1822 Giuseppe Antonio Carulli (1762–1830), a music copyist at the Milan Conservatory, applied on behalf of his son Luigi for a licence to print music. He described himself as a native of Assago (Milan), 60 years old and with four children, among them Luigi, who had already been working as a music engraver and printer, and Benedetto, professor of clarinet at the conservatory. The licence was granted on 4 January 1823 and for several years, as ‘Editore dell’Imperiale Regio Conservatorio’ of Milan, G.A. Carulli issued works by conservatory teachers or former pupils and didactic material, especially vocal and keyboard tutors. In 1827 he began the Nuovo repertorio musicale: Produzioni dei più accreditati maestri ridotte per organo e pianoforte; 24 fascicles had appeared by 1830. In 1828, with plate number 167, his address was given as S Radegonda 984. Plate number 173 marked the beginning of the Collezione completa di Muzio Clementi, an edition based on Breitkopf & Härtel's. Carulli worked with Secondo Colombo in 1829, and the next year began a new series, the Biblioteca musicale economica per flauto, organo e pianoforte. On his death, his son Benedetto requested transfer of the patent; this was granted on 11 June 1830, though Benedetto's activity lasted less than a year. In 1832 the Carulli list of about 300 publications was acquired by Ricordi, who entered them in his catalogue with the numbers 6113–61 and 6225–6339. Four years later another publisher, Giovanni Canti, set up in business by reprinting several Carulli editions, notably the Muzio Clementi collection. 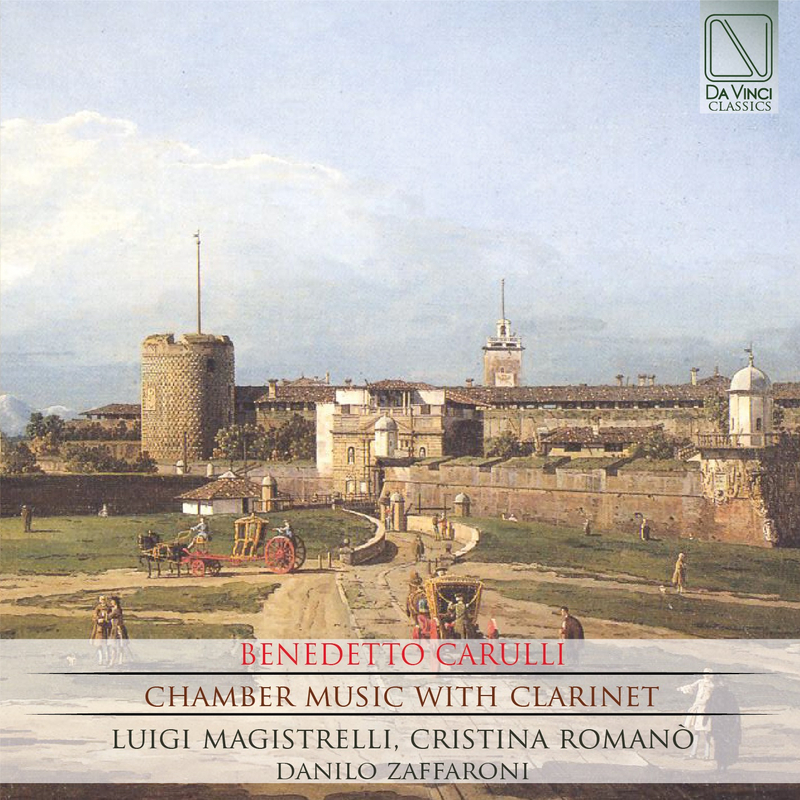 Romanò, Cristina (Clarinettist)started to take up the clarinet at a very early age and studied at the Conservatory of Milan under the guidance of Luigi Magistrelli. She attended some Master Classes with well- known clarinetists such as Karl Leister, Richard Stoltzman, Wenzel Fuchs, Sharon Kam and Peter Schimdl. Her freelance artistic activity includes duo with piano, chamber music with different groups and collaborations with various orchestras (Milan Municipal Wind Orchestra, Milano Classica Chamber Orchestra, F. J. Haydn Orchestra of Legnano and Arteviva Orchestra of Milan). He recorded for the cd label Urania/Leonardo. He taught music in primary and secondary Schools in Milano and clarinet at “Live Music” of Segrate (Milano) . Zaffaroni, Danilo (Bassoonist), studied bassoon at the Milan Conservatory with prof Brandolini, composition with prof. Rotondi and Electronic music with prof. Paccagnini. He collaborated as a bassonist in various orchestras such as: Angelicum and Radio Orchestras of Milano, “Ars cantus” Orchestra , “Città di Legnano” Orchestra , O.F.S.I. (Wind Orchestra of Italian Swiss ) and “Arteviva” Orchestra. He performed chamber music and with orchestras, also as a soloist, in Italy Germany, France, Swizerland, Spain and Holland. He recorded for the labels Stradivarius, Bayer Record and Brilliant Classics. As a composer he had some premieres of works of chamber music and wind ensembles in ITALY ( Milano, L’Aquila), Swizerland and Mexico. His works had been premiered by Andersen wind Quintet , Stefano Cardo ( bass Clarinet at LA SCALA THEATRE) e Fausto Saredi (bass clarinet at the Verdi Orchestra of Milan) , Civica di Mendrisio Wind Ensemble, O.F.S.I. Orchestra, Piccoli pomeriggi Musicali Orchestra of Milan. Wicky Music published some of his works.